Not so many weeks ago, Ron and I attended a local festival. Not surprisingly, one of the most popular exhibits was the baby animal enclosure. 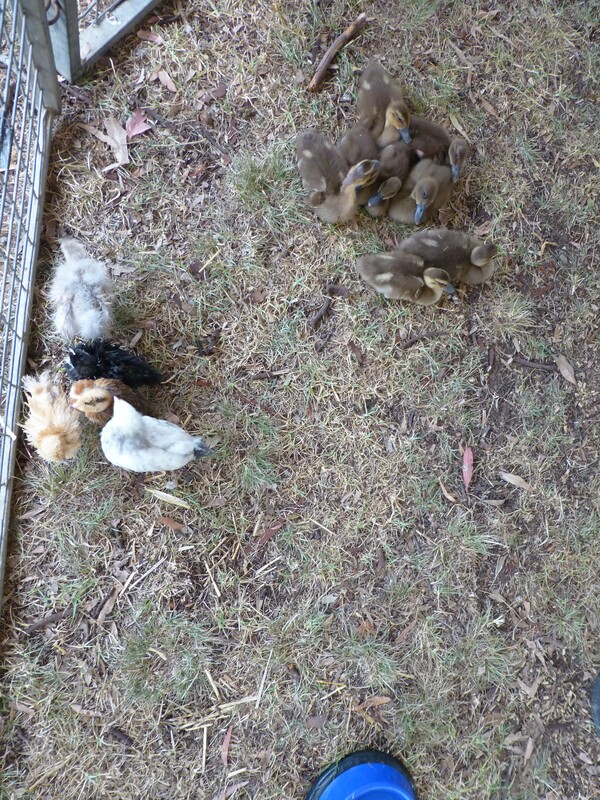 Amongst the furry friends were groups of domestic farm birds: duckings and chickens. 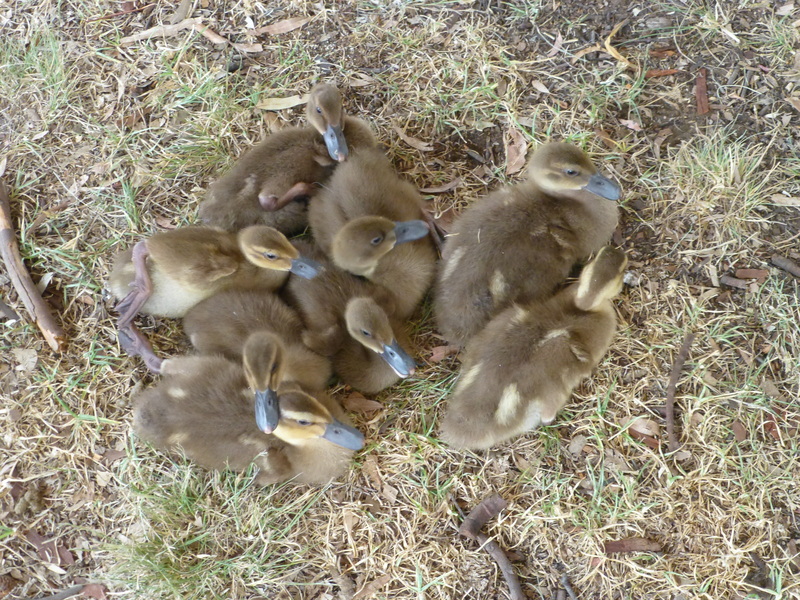 Hardly surprising then that I snapped a photo or two of my favourites: baby ducklings. Lookout, World — Here We Come! A rare sight in the river, and to my eyes a most welcome one. I wonder how many of the brood make it to adulthood? 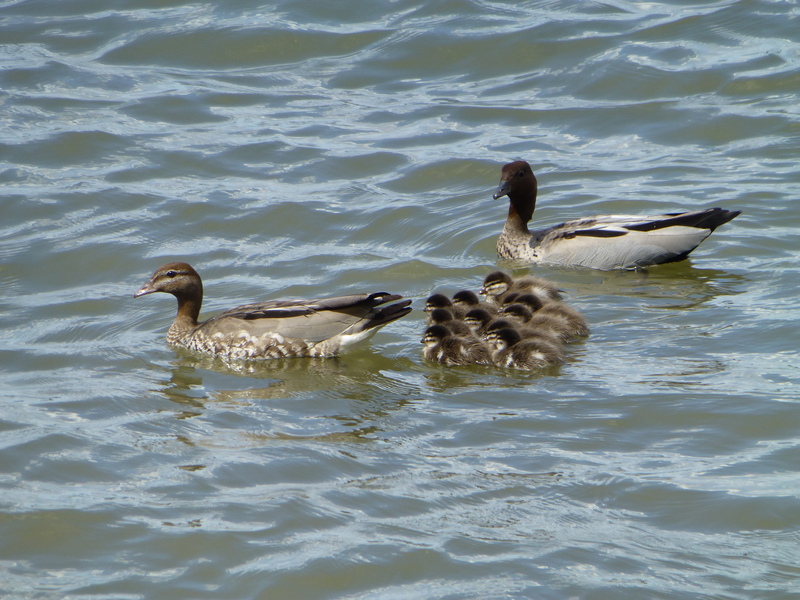 Is there anything nicer than watching Mum and Dad out for the day with their brood of youngsters? Unfortunately for me, this is a rare sight. 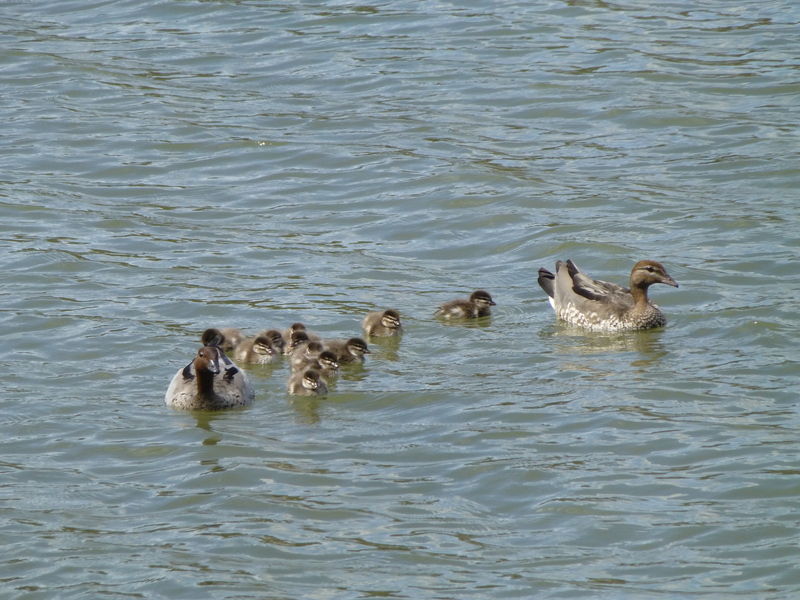 Although fully-grown ducks quite often grace with their presence the local swimming baths, a family of fluffy ducklings scarcely ever accompanies them.